Our mobile search results page is now responsive. 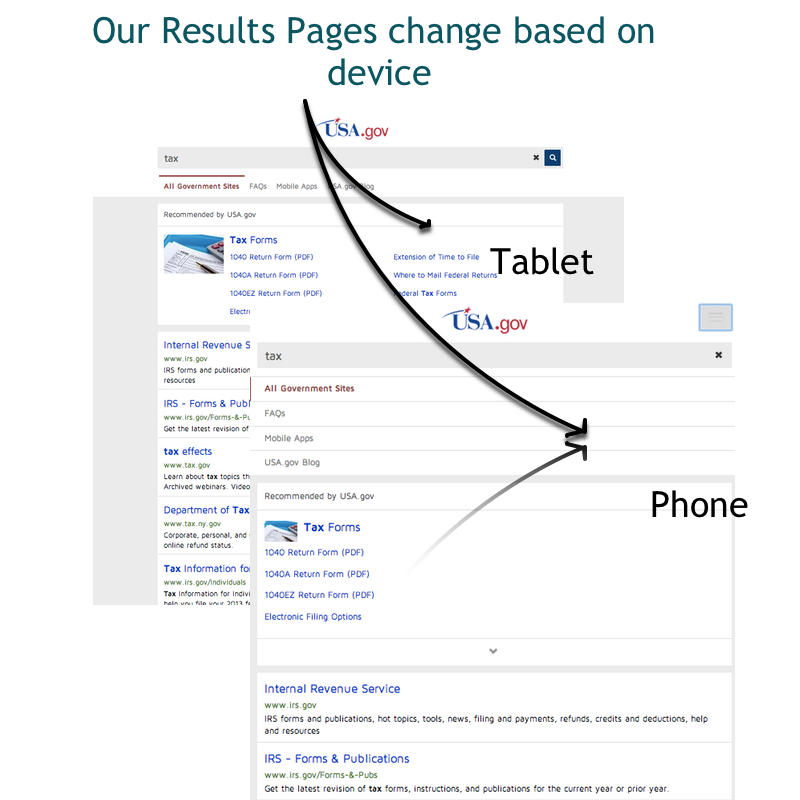 The new, responsive design (External link) ensures it is optimized for searchers on mobile phones and tablets. Use our customizable display options to brand this responsive results page for your agency. See the sample results page below for a search on tax on USA.gov. Searchers now see shorter (up to 15 characters) sidebar labels. The HTML 4.01 transitional parser is now selected for you when you validate the HTML code for your header and footer in the Admin Center. We migrated two indexes (best bets and supplemental URLs) from Solr to Elasticsearch (External link). We added more storage to our Hadoop cluster. We now show the menu icon on the mobile results page only when it is relevant. We fixed a bug with custom color schemes so that they’re now kept when you upload images in the Admin Center. We fixed our advanced search operators so an exact phrase search now works for supplemental URLs.